So I’m relieved to have an official term for my relationship with the work of author/illustrator, Kimberly Gee. Her characters—their expressions, postures, costumes—the colors of her artwork, and just how she draws in general, kinda make me want to starting bashing things. 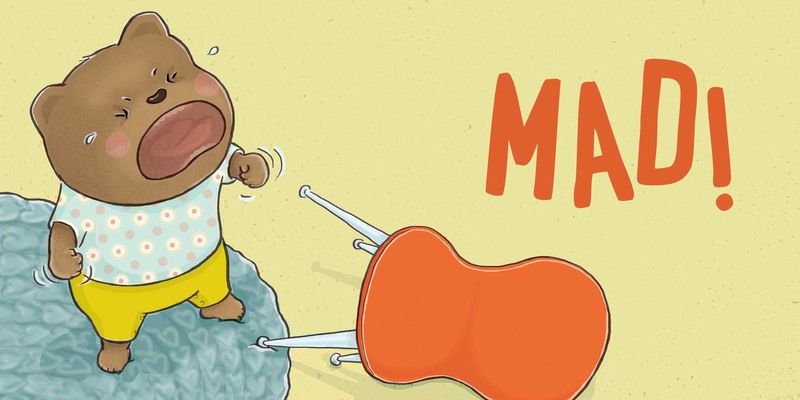 And her newest book, MAD, MAD BEAR coming out on October 23rd, is at its peak cute aggressiveness. Its star is Bear, who had to leave the park early for his nap. He falls and gets an owie. He has to leave his favorite stick and boots outside….nothing seems fair, so he gets very, very, very mad! How will he cope?? I love this book because it reminds all of us old and young kids what to do in the moment of those overwhelming emotions…starting with one breath. It’s an important skill to learn at an early age, and if you’re like me and didn’t learn it until you were in your 30’s, well that’s ok too…it’s never too late to get started. Eliza: ​Kimberly, can you tell us about what first inspired Mad Bear’s story? 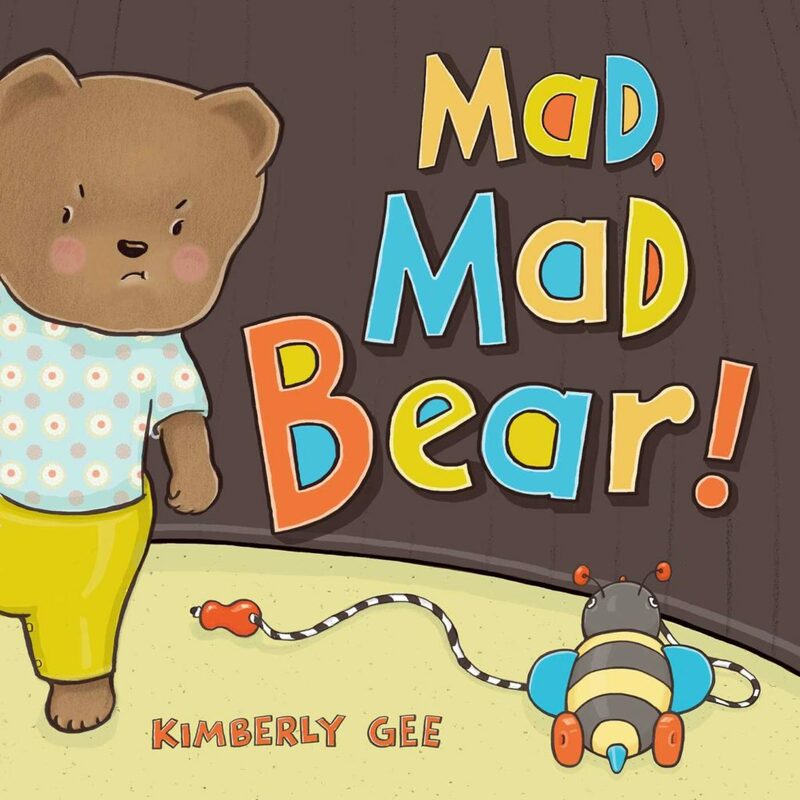 Kimberly:​ ​I first got the idea for M​ ad, Mad Bear!​ when I was mad, myself! I was on a getaway with my family. We were in Big Sur, CA. My kids were around 6 or 7 –– the high energy years. Although we had a great time, by the time we were ready to leave, I was tired. My husband and I got into a senseless argument. I was in full-blown sulk mode on the drive home, getting angrier with every mile (it’s a long trip). When we got home and were unpacking the car, I had a little (ahem) tantrum. That’s when my daughter– gave me a hug and said, “Breathe, mommy.” Then, she said, “You need some lunch and a nap.” Truth! My words back at me! So, I ate and slept. And, when I woke up, I felt much better. And that’s pretty much M​ ad, Mad Bear!​ in a nutshell. Now I completely believe in the transformative powers of breathing, eating and napping! As for the Bear’s personality–– he’s completely my son, Finn. 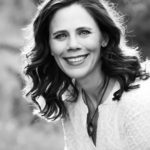 Eliza: ​What would you say are the most notable changes that were made in the editorial process, once you had this book connected with your art director and editor at Beach Lane Books? 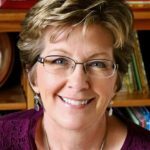 Kimberly:​ ​This book has changed a lot from the dummy book that Andrea Welch, my editor at Beach Lane Books, first bought. The basic idea remained the same– a mad little bear who has a tantrum, then finds a way back to himself. But everything else changed! Andrea bought the book while I was illustrating T​ he Class​ (by Boni Ashburn) so we finished up The Class b​ efore beginning ​Mad, Mad Bear! ​ I was excited to begin. There were some changes being suggested. Uh-oh. I communicate most frequently with Lauren Rille, Art Director at Beach Lane Books. They (the team) wondered if I might do some character sketches. ​(Errr…hadn’t I ALREADY done those in the dummy book? )​ And in doing so, Lauren said, it would even be okay to explore using another animal, even start over if I wanted to. ​(What? No, I did not want to! )​ There was something not jelling, said Lauren, and while they all still loved the idea, something was not quite right after all. Finally, together, we figured out that the original version of Bear was pretty generic. A kid Bear of no determinate age, having a tantrum. He was a over-the-top, too. Over-exaggerated. Lauren said he was close to being more of a caricature than a character. So to develop character, I needed to nail down things like, how old was Bear?​ (I wanted him to be a toddler)​. 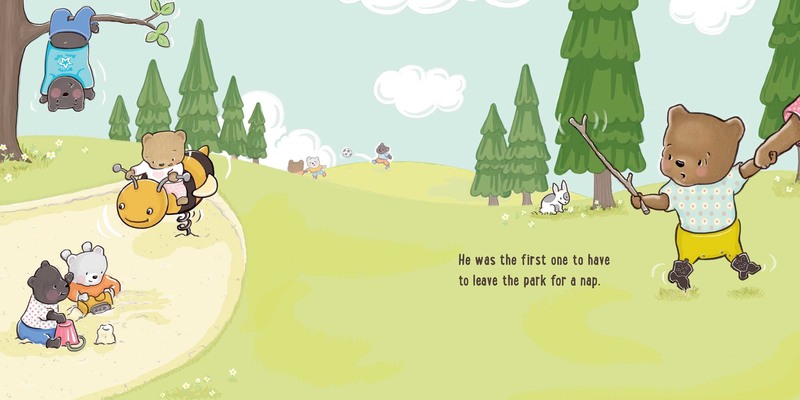 And Bear being an anthropomorphized character,…was he more in the human world, or more in the woodland creature world?​ (definitely human– I wanted toddlers to identify with him)​. Once that was established, I was able to sketch out a new toddler Bear with toddler-like proportions. From there, other details began to fall into place. His room, clothes, toys. Ta-da! Character. The text also changed quite a bit. We let the illustrations do almost all of the talking. So an already short manuscript was made even shorter. “Snap-ier” is how Andrea put it. I think it fits in perfectly with the toddler set. Overall, it was a real team effort! In the best way. I love how M​ ad, Mad Bear!​ turned out. I couldn’t have gotten here without the team at Beach Lane Books. I’m so glad I was open to rethinking the project, although at the time it was a blow to my ego. Kimberly is a dear friend, so I’ve had the chance to watch this book develop from the first concept over the years, and I’m so excited that it will be out and ready to share with the world later this month. I hope you’ll be as mad for Bear as I am! This book looks adorable! I predict kids will LOVE it! I can’t wait til it comes out; meanwhile, I’ll breathe, eat and nap!Congrats! I find that trio always makes me feel better! Thanks, Danielle. Sounds like a great teaching tool for tired mothers with quick-tempered kids! I could have used it many years ago! Many parents (myself included) can appreciate this book. 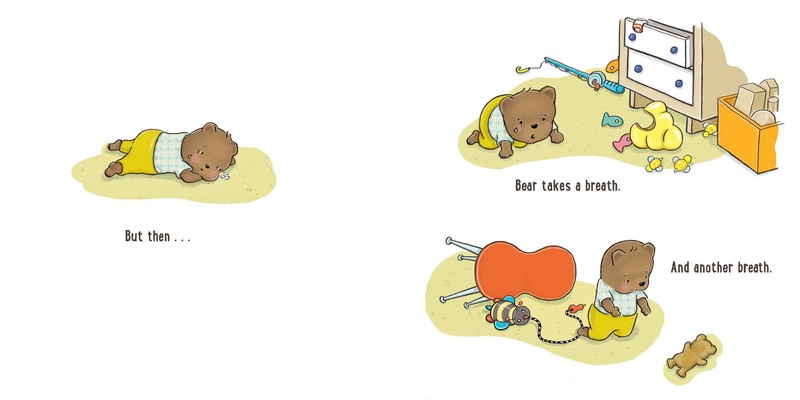 Kids, of course, will love Bear’s character and perhaps, learn some self-calming strategies! Yes, and self-calming strategies can work on the parents, too! Thanks for sharing the behind-the-scenes skinny on how this adorable book was reworked, Kimberly. 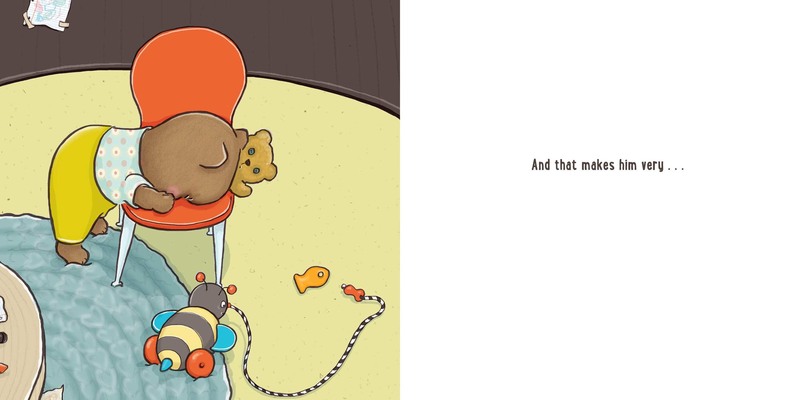 Thank you, Kimberly, for sharing your process in making this adorable book come to life. I can’t wait to see it! Wow. Love it. My granddaughter (who has Down syndrome) sometimes has trouble identifying and expressing her intense feelings. She’d love this book and get a lot out of it. Bravo! I hope she does, Sharon, and thank you! Loved the development story of the illustrations and text. Inspiring. Thanks, cant wait to see the book. Thank you for sharing the process, esp. the part about going from caricature to character. I loved your story too. Congratulations!!! Thank you, Vijaya. I think about that difference, between caricature and character, a lot– especially when I’m illustrating an exaggerated emotion. Thank you, Linda. It was immensely satisfying to work out that knot! I like finding out how book ideas came about. There are so many things that inspire stories. Yours made me smile. Your daughter sounds awesome. She knew just what mommy needed. Congrats on Mad, Mad Bear! I think it will help make some happy, happy readers. Thanks so much, Linda! Kimberly’s story of hearing her words from her daughter made me smile too. Happy eating, breathing, and napping! Wonderful! I want to read this one. Congrats! Oh, wow. I know some littles who’d feel like this story was written for them. Or at least their mother’s would. 🙂 Congratulations, Kimberly! And so great to have you back, Eliza! Thanks, Jill. 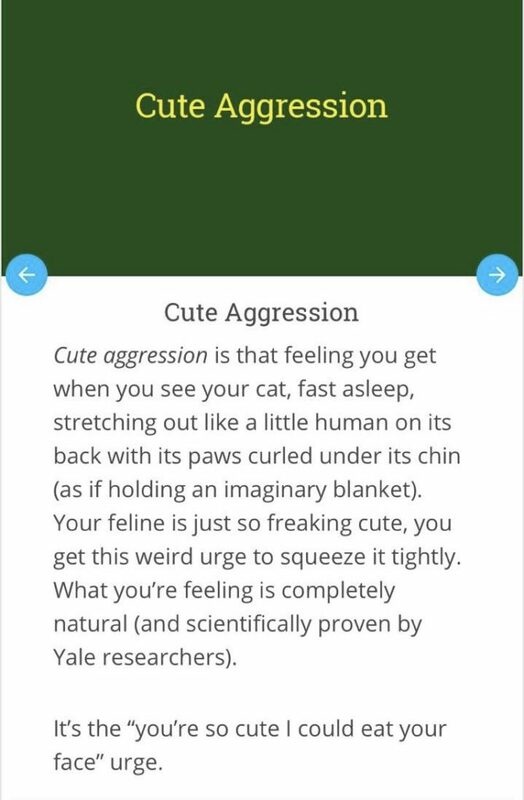 I hope little (and bigs) will identify. P.S. But for sure my kid will want to read it again and again. Clever, clever idea for a book every reader, young and old, will understand. Thanks for writing it for all of us. That’s the hope, Ann. Thank you. This looks wonderful. The story of the editing process was very interesting. I love the emotion in this book . . . and the illustrations are darling! Love getting a behind-the-scenes looks at the editing process. Congratulations, Kimberly! And thank you, Eliza! This looks amazing. I love the bear , and I can’t wait to read this book! Oh boy! My daughter is in need of this book ASAP! It looks adorable! Thanks to everyone for reading and commenting! I’m so glad to have successfully passed my excitement for this book on to others. 🙂 Happy reading (and napping! ).